Python is an interpreted, dynamically typed language. Python uses indentation to create readable, even beautiful code. With Python’s vast array of built-in libraries, it can handle many jobs without the need for further libraries, allowing you to write useful code almost immediately. But Python's extensive network of external libraries makes it easy to add functionality based on your needs. Python is an interpreted dynamically typed Language. Python uses indentation to create readable, even beautiful, code. Python comes with so many libraries that you can handle many jobs with no further libraries. Python fits in your head and tries not to surprise you, which means you can write useful code almost immediately. Python was created in 1990 by Guido van Rossum. While the snake is used as totem for the language and community, the name actually derives from Monty Python and references to Monty Python skits are common in code examples and library names. There are several other popular implementations of Python, including PyPy (JIT compiler), Jython (JVM integration) and IronPython (.NET CLR integration). There is a utility called 2to3.py that you can use to convert Python 2.x code to 3.x, while the '-3' command line switch in 2.x enables additional deprecation warnings for cases the automated converter cannot handle. Third party tools like python-modernize and the 'six' support package make it easy to target the large common subset of the two variants for libraries and applications which support both 2.x and 3.x. Indentation rules in Python. There are no curly braces, no begin and end keywords, no need for semicolons at the ends of lines - the only thing that organizes code into blocks, functions, or classes is indentation. If something is indented, it forms a block with everything indented at the same level until the end of the file or a line with less indentation. To mark a comment from the current location to the end of the line, use a pound sign, '#'. For longer comments and more complete documentation, especially at the beginning of a module or of a function or class, use a triple quoted string. You can use 3 single or 3 double quotes. Triple quoted strings can cover multiple lines and any unassigned string in a Python program is ignored. Such strings are often used for documentation of modules, functions, classes and methods. By convention, the "docstring" is the first statement in its enclosing scope. Following this convention allows automated production of documentation using the pydoc module. # single line comments are indicated with a "#"
""" This is the docstring for the function """
print " here is where we do stuff with the parameter"
as the main program """
print "x isn't a list!" print "You didn't raise an exception!" elif: Use elif to test multiple conditions. z = x + y   # throws a type mismatch (TypeError) exception since an integer and a string are different types and can't be added. While Python objects themselves are strongly typed there is a large amount of flexibility in how they are used. In many languages there is a pattern of checking to be sure an object is of the correct type before attempting an operation. This approach limits flexibility and code reuse – even slightly different objects (say, a tuple vs. a list) will require different explicit checking. In Python, things are different. Because the exception handling is strong we can just go ahead and try an operation. If the object we are operating on has the methods or data members we need, the operation succeeds. If not, the operation raises an exception. In other words, in the Python world if something walks like a duck and quacks like a duck, we can treat it like a duck. This is called "duck typing". int An integer of the same size as a long in C on the current platform. long An integer of unlimited precision (In Python 3.x this becomes an int). float A floating point number, usually a double in C on the current platform. complex Complex numbers have a real and an imaginary component, each is a float. Python also has built-in object types that are closely related to the data types mentioned above. Once you are familiar with these two sets of tables, you will know how to code almost anything! There are several Python types that are all sequential collections of items that you access by using numeric indexes, like lists, tuples, and strings. Accessing a single item from one of these sequences is straightforward – just use the index, or a negative index to count back from the end of the sequences. E.g., my_list[-1] will return the last item in my_list, my_list[-2] will return the second to last, and so on. Both ways are semantically identical and the difference is a matter of a personal preference. This replaced an outdated format operator: “%”. In this case, elements of collections are “unpacked” and passed as separate arguments. These annotations do not change the semantics of a function, and are intended to be interpreted by third-party libraries. You can return any Python object from a function – ints, floats, lists, dictionaries, anything. Note: In Python 3.x, you can create classes without inheriting from "object" because that's the default. All methods and fields are “public” in Python, but it is common to start members’ names from “_” if they are not supposed to be used as part of the “public” interface. When a class object is instantiated, the class's __init__(self) method is called on the instance, usually doing any set up that is needed: initializing variables and the like. Python supports multiple inheritance. This does provide you with more ways to shoot yourself in the foot, but a common pattern for multiple inheritance is to use "mixin" classes. Abstract base classes are defined in PEP 3119. You can create abstract base classes via the abc module, which was added in Python 2.6. A metaclass is a class for creating classes. You can see examples of this in Python built-ins, such as int, str or type. All of these are metaclasses. You can create a class using a specific metaclass via __metaclass__. If that is not specified, then type will be used. Python comes with a concept known as comprehensions. There are 3 types: list comprehensions, dict comprehensions and set comprehensions. 'Pythonic' is the term that Pythonistas use when they are talking about code that uses the language well and the way that its creators intended. Being Pythonic is a very good thing. Using Java-esque camel cased variable names is not Pythonic, but using it for class names is. Writing for loops in the style of C/C++ is considered un-Pythonic. On the other hand, using Python data structures intelligently and following the Python style guide makes your code Pythonic. There should be one--and preferably only one--obvious way to do it. Python has its own style guide known as PEP8 that outlines various guidelines that are good to follow. In fact, you must follow them if you plan to contribute to Python Core. PEP 8 specifies such things as indentation amount, maximum line length, docstrings, whitespace, naming conventions, etc. Python is one of several languages that has an interactive shell which is a read-eval-print-loop (REPL). The shell can be enormously helpful for experimenting with new libraries or unfamiliar features and for accessing documentation. Using external modules and libraries is as simple as using the import keyword at the top of your code. from lib import* Imports all of lib, no dot prefix needed "NOT FOR" PRODUCTION CODE – POSSIBLE VARIABLE NAME CLASHES! Of the three styles of import the second (import lib) has the advantage that it is always clear what library an imported element comes from and the chances for namespace collision and pollution are low. If you are only using one or two components of a library the first style (from lib import x) makes typing the element name a bit easier. The last style (from lib import *) is NOT for production code – namespace collisions are very likely and you can break module reloading. There is one major exception to this rule that you will see in many examples and that concerns the include Tkinter GUI toolkit. Most Tkinter tutorials import it as follow: from Tkinter import *. The reason is that Tkinter has been designed so that it is unlikely to cause namespace collisions. Notice that to turn “my_library” into a Python library we need to put an empty “__init__.py” file in it. Otherwise Python won’t import modules from a directory. With this you can import functions from a module and safely execute it with a Python interpreter. Python comes with a standard library of modules that can do much of what you need to get done. The standard library is quite extensive – it would take weeks to become familiar with everything in it. Whenever you feel the need to go looking for an additional external library, you should first look carefully in the standard library – more often than not, a perfectly good implementation of what you need is already there. If you find yourself needing additional functionality, you should go take a look in the Python Package Index (PyPI). There you will find thousands of packages that cover a vast array of topics. You will see a lot of information output to your screen when you execute the above. In some cases, the module has C headers and will require a C/C++ compiler installed on your machine to complete installation correctly. Numpy and scipy are extensive mathematical libraries written to make operating on large data collections easier. As Python's presence in scientific communities has grown, so has the popularity of numpy and scipy. Currently there are conferences devoted to them and to scientific computing. For graphing, you might want to try matplotlib. IPython – the shell and more The default Python shell has some annoying limitations – it's inconvenient to access the host operating system, there is no good way to save and recover sessions, and it's not easy to export the commands of a session to an ordinary script file. This is particularly irksome for scientists and researchers who may want to spend extensive time exploring their data using an interactive shell. To address these issues IPython answers these and other problems. To get IPython, go to http://ipython.org/ and download the version best suited to your operating system. One of the main uses for Python these days is for web programming. There are several popular web frameworks as described below, as well as other libraries for dealing with web content. Arguably the most popular web framework, django has taken the Python world by storm in the past few years. It has its own ORM, which makes it very easy to interact with databases. 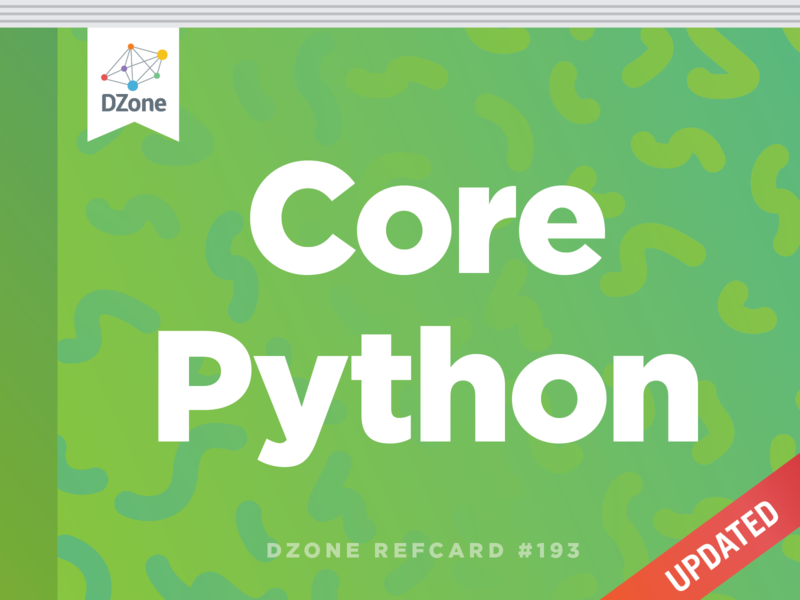 A Python framework originally based on Pylons, but is now a rebranding of repoze.bfg. Pyramid supports single file applications, decorator-base config, URL generation, etc. Flask is also a micro web framework for Python, but it is based on Werkzeug and Jinja2. 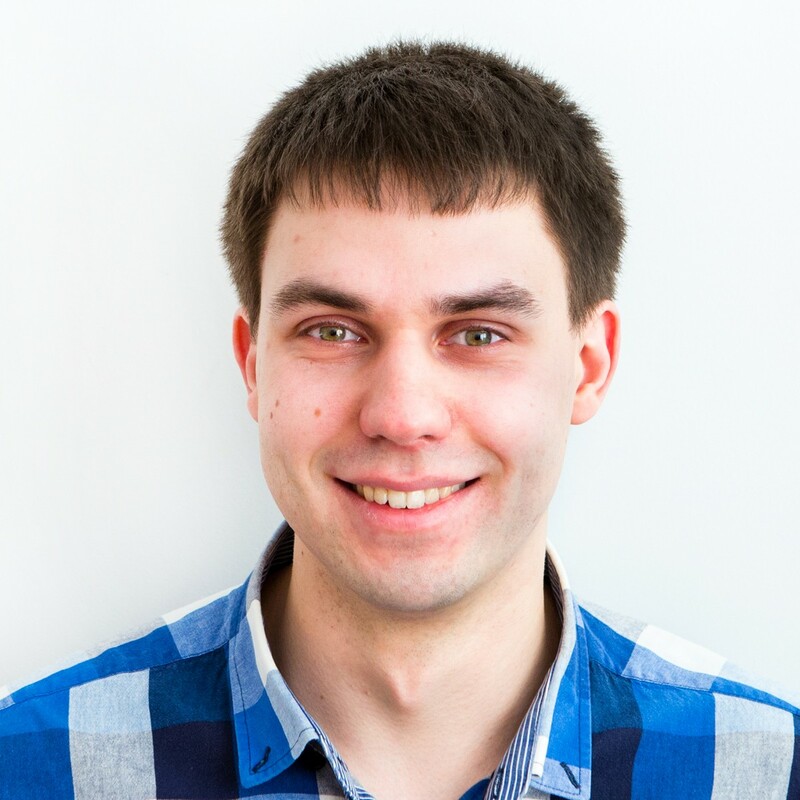 Requests is an HTTP library that provides a more Pythonic API to HTTP requests. In other words, it makes it easier to download files and work with HTTP requests than the standard library. A great HTML parser that allows the developer to nagivate, search and modify a parse tree as well as dissecting and extracting data from a web page. Python has many other libraries ranging over all kinds of topics. For longer comments and more complete documentation, especially at the beginning of a module or of a function or class, use a triple quoted string. You can use 3 single or 3 double quotes. Triple quoted strings can cover multiple lines and any unassigned string in a Python program is ignored. Such strings are often used for documentation of modules, functions, classes and methods. By convention, the \"docstring\" is the first statement in its enclosing scope. Following this convention allows automated production of documentation using the pydoc module. With each iteration, the counter variable is reduced by one. This code executes until the expression is False, which in this case is when \"counter\" reaches zero. try:\n    item = x\nexcept TypeError:\n    #this will print only on a TypeError exception \n    print \"x isn't a list!\"\nelse:\n    # executes if the code in the \"try\" does NOT \n    # raise an exception\n    print \"You didn't raise an exception!\"\nfinally:\n     #this will always print\n     print \"processing complete\"
In Python, things are different. Because the exception handling is strong we can just go ahead and try an operation. If the object we are operating on has the methods or data members we need, the operation succeeds. If not, the operation raises an exception. In other words, in the Python world if something walks like a duck and quacks like a duck, we can treat it like a duck. This is called \"duck typing\". def a_function():\n    \"\"\" document function here\"\"\"\n    print \"something\"
Note: In Python 3.x, you can create classes without inheriting from \"object\" because that's the default. Python supports multiple inheritance. This does provide you with more ways to shoot yourself in the foot, but a common pattern for multiple inheritance is to use \"mixin\" classes. from lib import* Imports all of lib, no dot prefix needed \"NOT FOR\" PRODUCTION CODE – POSSIBLE VARIABLE NAME CLASHES! try:\n    item = x\nexcept TypeError:\n    #this will print only on a TypeError exception \n    print "x isn't a list! "\nelse:\n    # executes if the code in the "try" does NOT \n    # raise an exception\n    print "You didn't raise an exception! "\nfinally:\n     #this will always print\n     print "processing complete"
def a_function():\n    """ document function here"""\n    print "something"